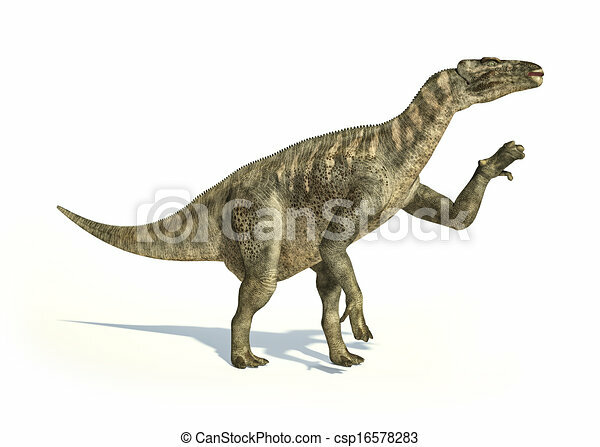 Iguanodon dinosaur photorealistic and scientifically correct representation, in dynamic posture. on white backgraound and drop shadow. clipping path included.